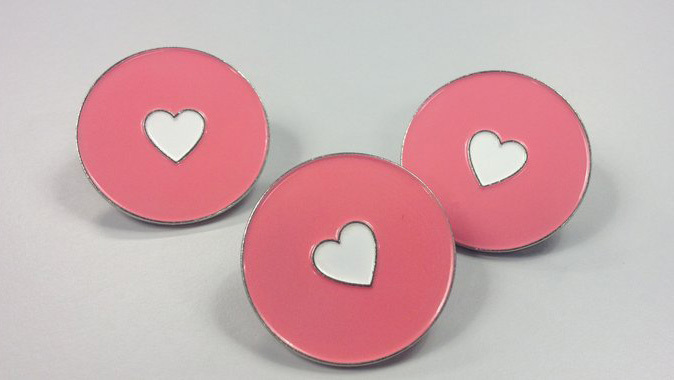 MPs will be proudly wearing our little pink badges, featuring the white Breast Cancer Now heart. They’ll also be wearing more extravagant pink pieces - including ties, scarves, dresses, jackets and shirts to raise awareness of Breast Cancer Now’s wear it pink day on the 19 October this year. These little badges symbolise the universal fight against breast cancer, and the hope that with our cutting-edge research, by 2050, everyone who develops breast cancer will live, and live well. The significance of these pink badges is to remind everyone of wear it pink day - 19 October 2018. This is a day where we come together, wear pink and raise money to move closer to our goal. This year people will wear pink in constituencies across England, Wales, Scotland and Northern Ireland. Whether it’s in their school, workplace or local community - pink will be worn, party games will be played and pink cakes will be baked to raise money for a future where no one dies from breast cancer. Feeling inspired? Wear it pink is a fabulous day to have fun, get friends and family together while making a difference in the lives of so many. If you register to take part, you’ll receive a free fundraising pack filled with ideas, tips and useful bits and bobs to host your perfect pink day! 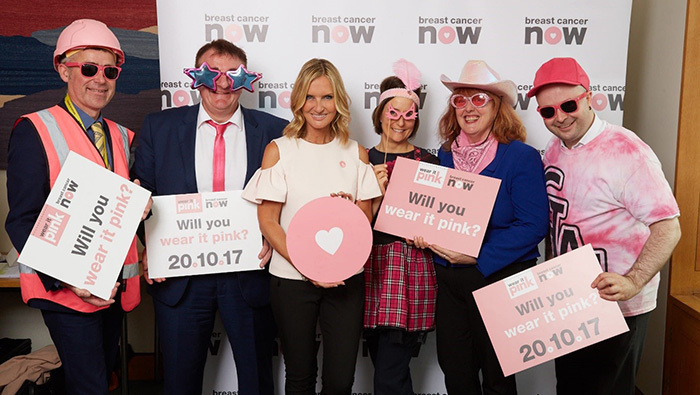 Drop us an email on wearitpink@breastcancernow.org, or call us on 0333 20 70 300 to have a chat about your wear it pink day. We’d love to hear from you! Last year’s photo call saw 274 MPs share their support for wear it pink by tweeting, pledging and wearing pink, and we’re hoping for even more! If you’re already registered to take part, have you thought about inviting your MP to come along to your wear it pink event? You can find more hints and tips about involving your MP in your fundraising on our blog.